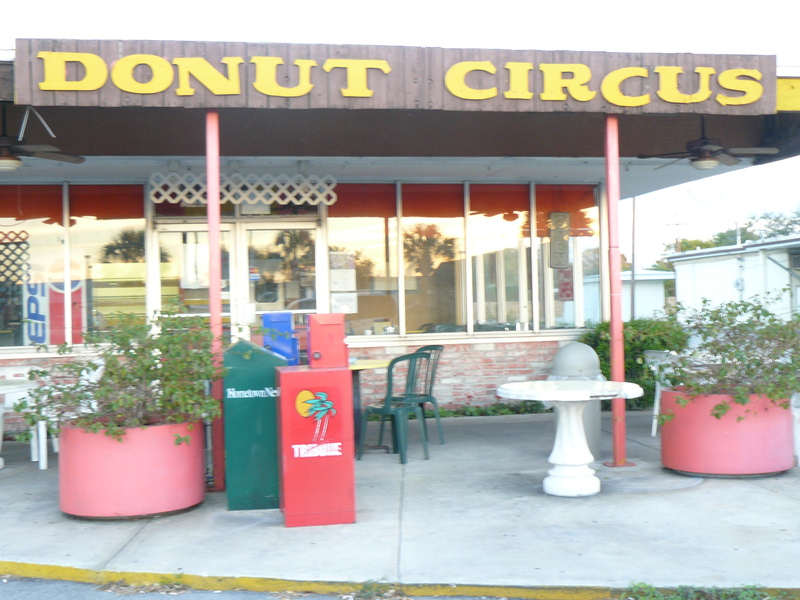 Here in Florida, I have passed Donut Circus many times, and each time, without fail, I find myself pondering the name. Why “Circus,” ya know? I’m sorry, but it’s a dramatic name for a donut joint. Krispy Kreme Donuts I mostly get. Ok, kind of get. Deep fried donuts can be ‘Krispy,’ I guess? And I get the ‘Kreme’ part because I’m quite familiar with vanilla cream filled donuts–the sugary frosting type filling, not bavarian. Dunkin Donuts I get, too. Some people like to dunk their donuts in coffee or milk, yeah, yeah. But this place, is it called Donut Circus because donuts are round and circuses have lots of round things, like hula hoops and ring tosses, and also often take place in the round? Are the donuts themselves or the people who make them crrrrrazy? Are the donuts fun? fun to make? fun to eat? all of the above? Better yet, do clowns make them? Just curious. Speaking of donuts, Tracy Letts, author of August: Osage County and Superior Donuts, is returning to the stage as an actor in a revival of Mamet’s 1975 play, American Buffalo, which opens March 9th at the McCarter Theatre in Princeton, New Jersey. And on an unrelated not, I have to share my love for Irene Cara singing “Hot Lunch” in the original Fame movie. How much more fun could lunch possibly be than this? I don’t really have anything to say except that whenever you post about Irene Cara or the original “Fame” I will be there. At some point I need to do a whole post on my favorite fame character, Shirley, who auditions with Leroy but sadly doesn’t get in.